Last week the Dyn DNS DDoS took out most of the East coast US websites including monsters like Spotify, Twitter, Netflix, Github, Heroku and many more. Hopefully it wasn’t because I shared the Mirai source code and some script kiddies got hold of it and decided to take half of the US websites out. 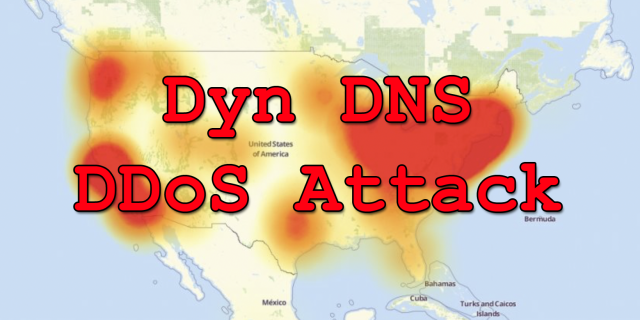 A denial of service attack against managed DNS provider Dyn restricted access to many US-based websites on Friday. The ongoing attack is affecting Dyn’s managed DNS customers on the US East Coast, according to the provider, which adds on its status page that its “engineers are continuing to work on mitigating this issue”. The strength of the attack, as well as its source, remains unclear. Sites experiencing issues as a result of the attack include Github, Airbnb, Reddit, Freshbooks, Heroku and Vox Media properties. SoundCloud, Spotify and Shopify have also been affected. The sites themselves are fine but DNS lookups may be slow, leading to problems. It’s estimated 50,000-100,000 bots (mostly IoT devices) took part in the attack, which with pretty much everyone on highspeed broadband now is a LOT of bandwidth with some people speculating in the 1.2 Tbps range. People are also speculating that it seems to be another attack directed at the PlayStation Netowork (PSN) which uses the same DNS service and the outages could have been a byproduct of an attack aimed at Sony. DDoS attacks on PSN and Xbox Live are not super uncommon as they are basically skiddie breeding/trolling/flame grounds with lots of bored teenagers, many of which would be technically savvy. Richard Meeus, VP technology EMEA at NSFOCUS, a DDoS mitigation company, commented: ”DNS has often been neglected in terms of its security and availability from an enterprise perspective – it is treated as if it will always be there in the same way that water comes out of the tap and electricity is there when you switch it on. “This attack highlights how critical DNS is to maintaining a stable and secure internet presence, and that the DDOS mitigation processes businesses have in place are just as relevant to their DNS service as it is to the web servers and data centres,” he added. I suspect there is more of this to come, and at some point someone is probably going to manage to break the entire Internet. 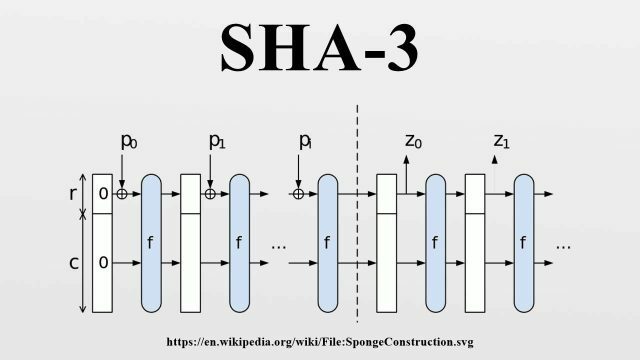 Hashing, it’s always a contentious issue – used to be md5, then sha-1, then bcrypt and now it looks like SHA-256 or SHA3-256 might the future with quantum science boffins predicting it’s not feasable to crack. While it’s reasonable to assume that a world with real quantum computers will ruin traditional asymmetric encryption, perhaps surprisingly hash functions might survive. That’s the conclusion of a group of boffins led by Matthew Amy of Canada’s University of Waterloo, in a paper at the International Association of Cryptologic Research. The researchers – which included contributions from the Perimeter Institute for Theoretical Physics and the Canadian Institute for Advanced Research – looked at attacks on SHA-2 and SHA-3 using Grover’s algorithm (a quantum algorithm to search “black boxes” – Wikipedia). They reckon both SHA-256 and SHA3-256 need around 2166 “logical qubit cycles” to crack. Perhaps counter-intuitively, the paper says the problem isn’t in the quantum computers, but the classical processors needed to manage them. The sad part is, a lot of people are still using crappy old badly implemented hash algorithms like md5 and thinking that’s ok.
On the other hand with the predominance of people using frameworks like Rails, Laravel, Django etc those problems are minimised. If the quantum correction is handled by ASICs running at a few million hashes per second (and if Vulture South’s spreadsheet is right), Grover’s algorithm would need about 1032 years to crack SHA-256 or SHA3-256. That’s considerably longer than the mere 14 billion years the universe has existed, although less than the estimated 10100 years until the heat death of the universe. Even if you didn’t care about the circuit footprint and used a billion-hash-per-second Bitcoin-mining ASIC, the calculation still seems to be in the order of 1029 years. That’s a lot of years, the limitation seems to be the physical processors used to manage quantum computing – which may be resolved at some point but would take some time (according to even an accelerated Moore’s law). 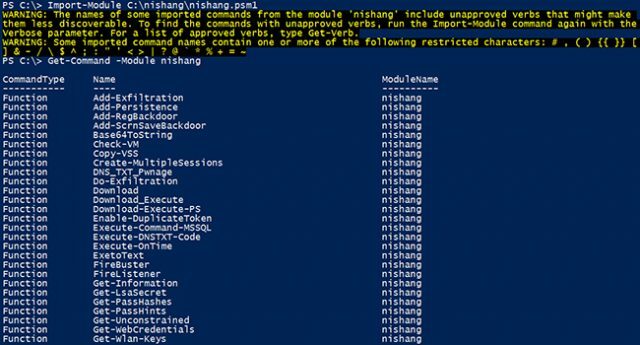 Nishang is a framework and collection of scripts and payloads which enables usage of PowerShell for penetration testing, offensive security and red teaming. 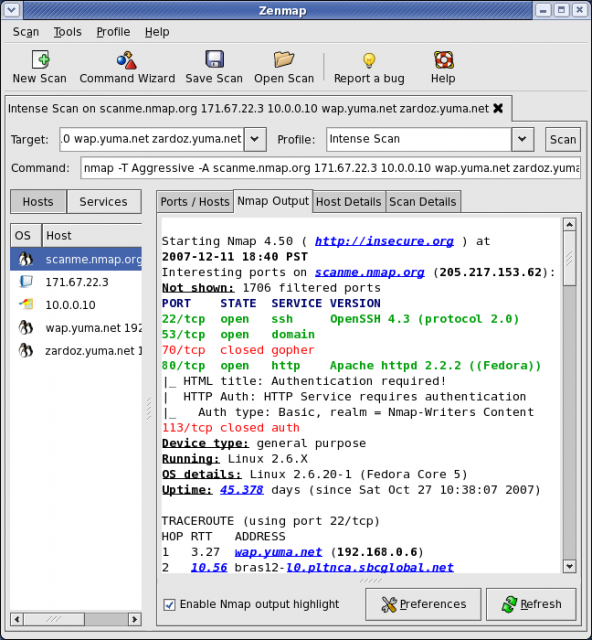 Nishang is useful during all phases of penetration testing.